Hotel Puthooran's Holiday Inn is a classic property in a green part of Munnar, near Baison Valley Road. Vibrant colors like orange, pink, red and yellow make this property very attractive and lively. 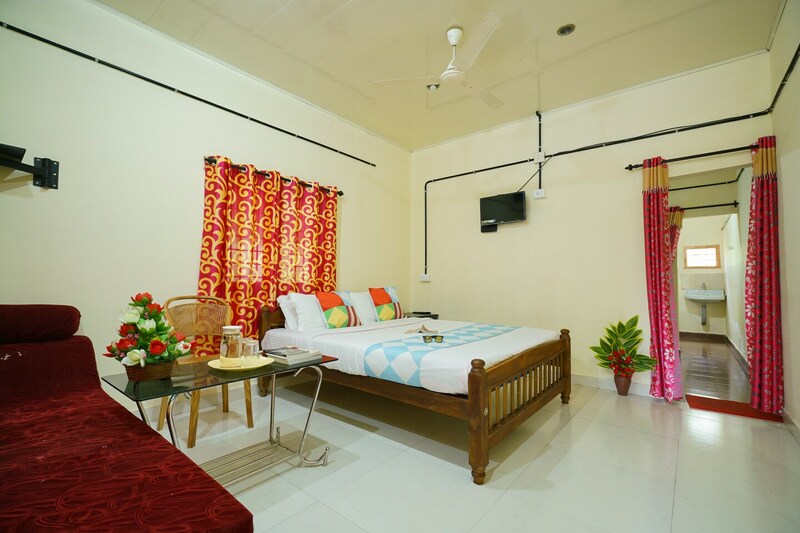 The bedrooms are spacious and cozy, with elegant decor, sober hued walls and are equipped with amenities like TV and wardrobe. The bathrooms are modern, neat and equipped with geysers. The kitchen has all the essentials and boast of funky tiles. The living and dining areas also impress with bright colors and modern furniture. The inn is surrounded by Beautiful greens and offers a refreshing ambiance.